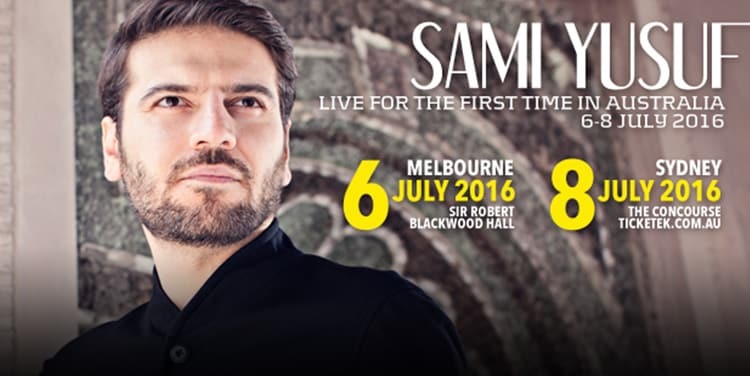 Sami Yusuf will tour Australia for the very first time this July 2016! Sami Yusuf will tour Australia for the very first time this July 2016! Catch him in one of the cities below and make sure to book early to avoid disappointment!